(PhysOrg.com) -- A powerful solar flare has ushered in the largest space weather storm in at least four years and has already disrupted some ground communications on Earth, said University of Colorado Boulder Professor Daniel Baker, an internationally known space weather expert. Classified as a Class X flare, the Feb. 15 event also spewed billions of tons of charged particles toward Earth in what are called coronal mass ejections and ignited a geomagnetic storm in Earth's magnetic field, said Baker, director of CU-Boulder's Laboratory for Atmospheric and Space Physics. Such powerful ejections can cause a variety of socioeconomic and safety issues ranging from the disruption of airline navigation systems and power grids to the safety of airline crews and astronauts. "The sun is coming back to life," said Baker, who chaired a 2008 National Research Council committee that produced a report titled "Severe Space Weather Events -- Understanding Societal and Economic Impacts." For the past several years the sun has been in its most quiescent state since early in the 20th century, said Baker. From a scientific standpoint a class X event -- the most powerful kind of solar flare -- is exciting, said Baker, also a CU-Boulder professor in the astrophysical and planetary sciences department. "But as a society, we can't afford to let our guard down when operating spacecraft in the near-Earth environment." According to the National Oceanic and Atmospheric Administration, several more coronal mass ejections may reach Earth's atmosphere in the next day or two. "Human dependence on technology makes society more susceptible to the effects of space weather," Baker said. "But scientists and engineers have made great strides in recent decades regarding this phenomenon. "We understand much more about what is happening and can build more robust systems to withstand the effects," Baker said. "It will be interesting to see how well our technological systems will withstand the rigors of space weather as the sun gets back to higher activity levels." Baker also spearheaded a 2006 NRC report titled "Space Radiation Hazards and the Vision for Space." The report considered the effects of space weather events on human explorers venturing beyond low-Earth orbit. The National Research Council is a federal organization created by the National Academy of Sciences. The subject of climate control,environmentand sustainability needs to be re-defined in the present context of changing scenario. The Earth planet is in grave danger of loosing its balance function to support life. Yes, Earth is connected gravitationally, magnetically and electrically to its heat source - a neutron star that is obscured from view by waste products in the photosphere. (snip)...a neutron star that is obscured from view by waste products in the photosphere. This is primarily where I disagree with you, Dr. Manuel, but I'm not going to flame you for it (you deserve better). Forgive me if I've missed this particular point in your published works, but how do you account for the apparent general consistency of the sun's output over recorded history? Or for that matter, episodes of increased output? For what it is worth, I lean more towards the EU explanation, while admitting I don't (currently?) have an outright "answer" to rebut you with. Earth's climate has changed over recorded time and the changes are linked with solar cycles. 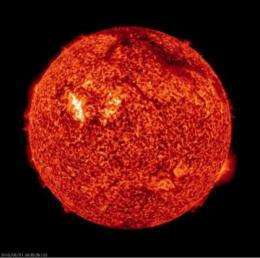 See "Earth's Heat Source - The Sun" and references cited there.